The 1000' long clear Genesis Series 18 AWG Unshielded Untwisted Multi-Conductor Cable with 2 Unpaired Conductors from Honeywell comes in a pull box packaging. This cable offers a gauge size of 22 AWG. It is unshielded and features a general-purpose jacketing material. 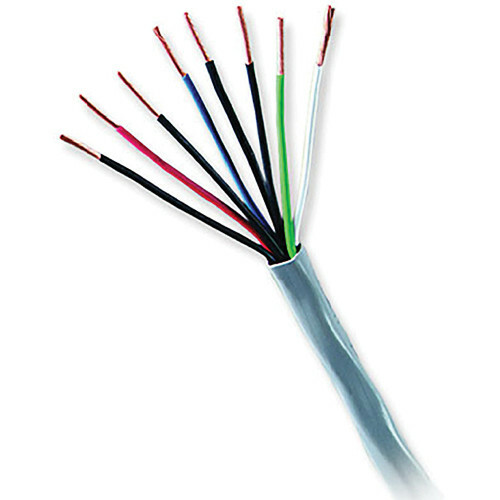 Applications for this cable include control cables (Lutron systems and Crestron systems), alarms, intercoms, speakers, and other low-voltage circuits that are power limited. The recommended pulling tension is 75% of the maximum value.